iBraggiotti Fine Jewelry presents special diamond engagement rings to commemorate your love story’s past, present and future. Let her know how much you care by handing her with one of these grand marquise three stone rings that is crafted with the finest quality second to none. She will definitely know how special she is with this marvelous fantasy from start to finish. Three stone rings are also known as trinity rings which symbolize the eternal nature of true love. Marquise diamond three stone rings characteristically incorporate a magnificent center piece diamond. The dazzling two smaller diamonds on either side highlight the brilliance and fiery look of the center stone. The marquise shape is a legendary cut resembling the smile of the Marquise of Pompadour. The exquisite beauty of the marquise diamond is greatly contributed by the Sun King Louis the XIV after commanding a diamond cut to look like the smile of his mistress. Hauntingly beautiful and uncommon in engagement jewelry, the marquise diamond ring lends itself to style. If you know your style and feel confident in it, consider how one of these beautiful three stone rings might highlight it. The key to engagement ring shopping is realizing that it is a ring you will wear all the time. From casual coffee dates to formal dinner parties – even in the shower. Your engagement ring becomes a part of you. For this reason it is vital to find the right fit for you, and we don’t mean just your ring size. Keep in mind a few things:Three stone marquise diamond rings have a unique shape that highlights lines and contour in your body and in your clothing. Find Your Diamond Weight. Your diamond will benefit from the support of two side stones. Make sure that the center diamond is of adequate size. Beware of stones that may be too large for your frame. A gorgeous and unique expression of love, marquise three stone rings can be set in white gold, yellow gold and platinum metals. Metal Type is a Color, too. If you choose gold, you have the option of yellow or white. Which best suits you and your skin tone? White gold goes well with most skin types, making it a very popular metal type. Platinum gives you the same look with the added luster and benefit of never needing to be rhodium plated after wear. The classic three stone ring design illustrates symmetry, unity and commitment to a relationship that will last through the ages. The diamond three stone ring also symbolizes past, present and future. Elegant yet whimsical, our marquise diamond three stone rings showcase a promise of sacred love bound to last forever. These spectacular engagement diamond rings stand for iBraggiotti’s trademark of quality and excellence. Our top priority is seeing our customers absolutely satisfied with every purchase they make. To this end, we proudly stand with the principle of giving highest value to clarity, cut and color of every diamond for engagement ring we craft. You can browse through our unique array of lovely engagement rings as well as superb promise rings and glamorous wedding rings. If you want to design a ring that completely matches her taste, our well trained ring makers will customize a diamond ring for you. Connect with our live chat representative to specify the ring of your choice. Alternatively, you can peruse our education section and see the assortment of several cut diamonds in different metal settings. If you are not quite comfortable with a marquise three stone ring, consider marquise diamond rings with side stones or marquise diamond pave rings. We also have pear shaped and heart shaped diamonds for a more lively selection of diamond engagement rings. Our online jewelry store is open 24/7 to cater your needs whether you are looking for excellent antique rings, bridal rings, wedding bands, engagement ring bands, gold rings, diamond rings any fabulous rings for men and rings for women. iBraggiotti Fine Jewelry presents the most exquisite assortment of emerald cut diamond rings with sidestones. These diamond engagement rings project much diverse characteristics from other offers online. A diamond ring is a symbol of commitment and ultimate love. She would immediately love it if it has some sense of personal touch. This is the reason why we unlock the idea of customization to design a ring that suits your taste. We would love to hand you the diamond ring you will never forget for years to come. Our wide selection of astounding wedding sets consist of distinctive inspiring promise rings, bridal rings, engagement rings and silver rings all designed to make you proud on your big day. We purely understand that you want the best and so we offer you the most excellent engagement diamond rings from our finest jewelry collection. Choosing the ideal clarity, color and cut of your center diamond is crucial to any engagement ring selection. Our diamond engagement rings with side stones come set with diamonds of standard color and clarity. Since the side stones are small, they can be of lesser quality than the center diamond but still highlight it with glamour. If you have inquiries about the side stones in any of the items in our bridal collection, don’t hesitate to ask us we would gladly customize it according to your wish. Fine jewelry is our expertise and we love to share it with you. As with our whole engagement ring section, the items come in various shapes, set with round cut diamonds, princess cut diamonds and more. You still have the liberty to pick your ideal center stone specifying your desired carat weight, color and clarity. Please visit the iBraggiotti Jewelry Custom Shop for more details. Aside from Gold Pendants, iBraggiotti Fine Jewelry never stays behind with our glorious exhibit of rings, slides, neckbands, studs, chains, arm ornaments and embellishments. With a huge number of assortments in store you can simply inquire about online which one suits you best. Try not to dither to associate with us; our live talk client administration agent is constantly prepared to help you at whatever time. 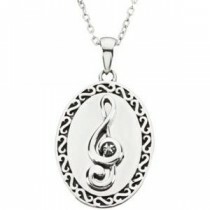 We take into account all types of inquiries identified with pendant accessories, wholesale gems, charms and dabs, silver or sterling silver, or anything about sterling silver. Don’t hesitate to explore our site to get a thought of your favored jewelry with pendant and you will be flabbergasted at what number of alternatives exist. You will wind up needing to get everything as they are all marvelous directly in front of you. 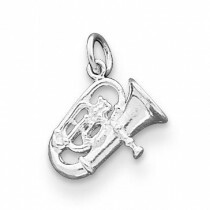 Each of the globules and charms and pendants are special in their own particular style, shape, shading and cost. Handpicked by master experts, the iBraggiotti trademark is known for magnificence and top of the line quality. Our awesome choices contain about each pendant neckband or appeal for armlet comprehensible and a blend of the extraordinary. Customize your pendants and charms with our unlimited blends to create a souvenir that is particularly you. You can run for great excellence with our jewel pendants or pick the fun and chic gemstone pendants. Our pendant pieces of jewelry add a noteworthy length to a generally frump top. 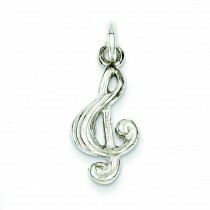 Our silver and sterling silver accessories offer an insight of fragile sparkle to any style. 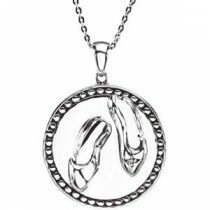 So fulfill your taste and match your outfit with our enormous determination of awesome charms and pendants. On the off chance that it is an iBraggiotti brand, realize that it is world class. Every lady makes a queen in every man’s life. You would want to give the greatest gift of love to your special woman soon to be your wife; surely it should be the perfect diamond engagement ring. iBraggiotti Fine Jewelry values this desire of every couple wanting to bind themselves with the symbol of eternal union. So we present to you our diamond rings with side stones that feature not only magnificent diamonds but also design elements that are truly unique. Distinct from the three stone diamond setting, our engagement diamond rings with side stones are designed to highlight a single center stone. Your diamond will visually pop from a backdrop of sparkling diamonds as these side stones accentuate the brilliant center stone. Tailored at your request to fit any size or shape of center stone, our collection of timeless, elegant and quality engagement rings utilize common techniques in mounting the side stones which include channel and pave settings. A diamond ring with the channel setting flushes diamonds at the sides of the ring between two strips of gold or platinum metal without prongs between the stones. The strips are almost invisible making the diamonds appear free standing at the sides of the diamond ring band. Channel set rings draw visual lines that lead to the center stone, putting much more emphasis on its brilliance and grand look. Pave set diamond rings utilize tinier diamonds which cover the sides of the engagement band. These diamonds are very small and are often held in place with small prongs or beads. Nearly similar to channel set, the metal band in pave settings barely shows through. Precious stone pendants are a ladies’ closest companion; she will love wearing them in shifted styles at each event. iBraggiotti Fine Jewelry values this female enthusiasm thus we might want to offer you our far reaching choice of wonderful pendants for pieces of jewelry in all arrangements. Originating from the world’s best architect gems, our broad pendants gathering incorporates embellishments, creature shapes, mindfulness, child and family styles and dark and white pendants. Not to be abandoned the rundown are Cameos, Celestial and Claddagh pendants, and also shading precious stones, jewel and gemstone and jewel and pearl blends. You can likewise browse our splendid precious stone style pendants, gemstone, heart, introductory, venture, key, mementos and name plate pendants. Only some of our most loved stunning shape, snowflake, star, teardrop and vintage pendants are set in 18K and 14K white gold and yellow gold. For a keepsake to celebrate yesterday, today and tomorrow, select the three stone pendants. Planning your own particular remembrance of fine gems precious stone is an one of a kind and fun experience. iBraggiotti signature jewels stay top notch and are constantly trusted to typify the ideal parity of brightness, magnificence, fire and mind blowing enthusiasm. We keep up the most elevated amount of craftsmanship for fine planner precious stone adornments that you will be appreciative for quite a long time to come. Whichever communicates your distinction and individual slant, iBraggiotti Fine Jewelry offers expansive and thrilling style adornments ideal for pendants and accessories, guarantee rings, vintage wedding bands, wedding bands, gold rings, silver neckbands or precious stone pieces of jewelry and precious stone studs. Find the opportunity to converse with our agreeable gem dealers for a superior point of view of how we can give you the adornments you had always wanted.